There is a whole other corpus of literature that is forever lost to us, a shadow corpus of voices that did not even enter what we call the oral tradition, and which never had a chance of inscription. When we are fortunate enough to still have the actual work of a historical artist, hagiography should be given only second place. In some ways, the fact that Vidya is little known except to scholars and readers of classical literature has allowed her poetry to be appreciated on its own standing, and not on the basis of what is said of her. This is a unique position: to neither have been co-opted nor forgotten. Schelling says that about 30 poems by Vidya survive; of these I’ve found half of them translated into English in his books. An edited version appeared in The New Indian Express on February 1st 2018. “The Venus Flytrap” appears on Thursdays in Chennai’s City Express supplement. 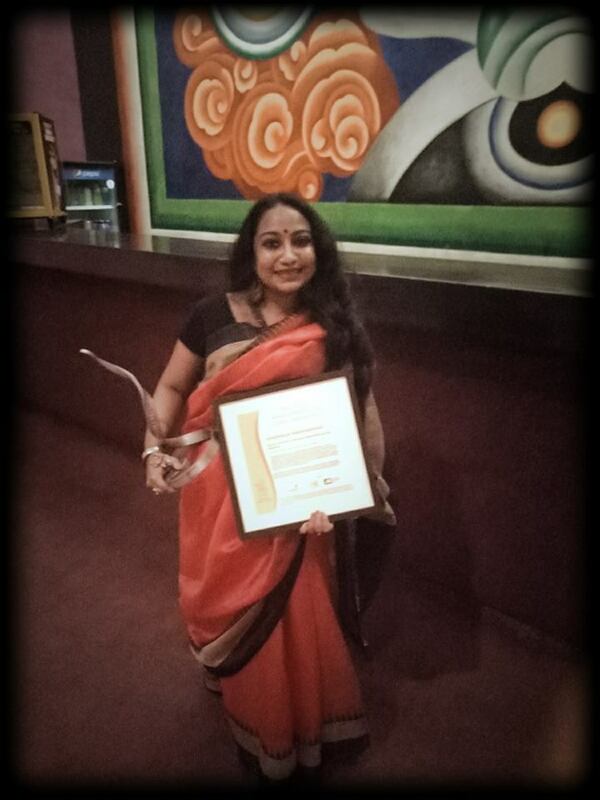 I am so deeply honoured that The High Priestess Never Marries has won a 2015-2016 South Asia Laadli Media & Advertising Award For Gender Sensitivity in the category of Best Book (Fiction). The award ceremony was held at the National Centre of Performing Arts, Mumbai, on May 12 2017. I was presented the award by Kamla Bhasin. It means all the more to me because the Laadli Awards are not literary, but feminist.